Many runners get frustrated by their inability to build endurance for long distances like a half marathon or even a full marathon. If you feel as if you have hit a plateau and are having a difficult time pushing your limits, these are eleven things that you can do to go farther, go faster, and make it over the finish line. Although it sounds like a super fancy term, gradual adaption means that you are patient and slowly build mileage over time. The key is to go slowly, but also to keep up with it. The slow progression will ensure that you aren’t pushing yourself to the point of self-sabotaging. And it also helps to build strength and mileage over time. If you try to increase your mileage too quickly, you run the risk of overtraining, which is the number one hurdle to achieving your longer mileage goals. As hard as it is for most runners to slow it down, to build endurance it might be essential. 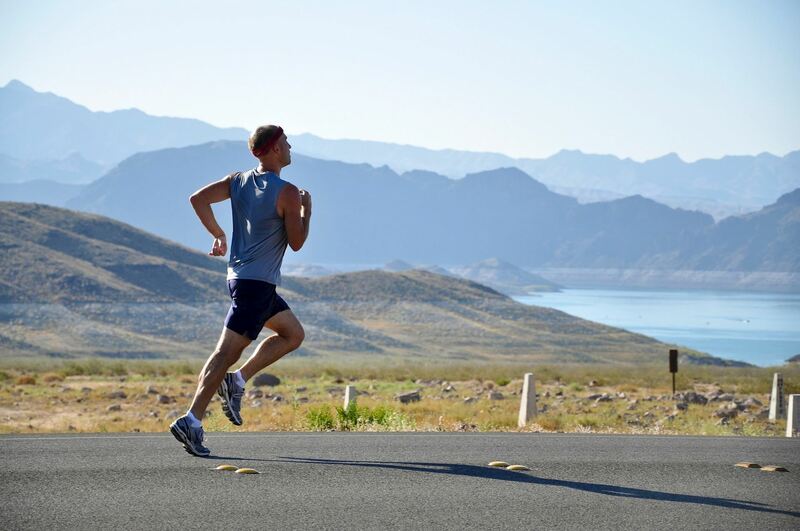 To increase your stamina try to focus on “effort-based training,” which means that you run at about 80% of the speed you normally do, but that you go for longer runs. If you slow things down, you will have the energy reserves to make it longer distances. You also will minimize the likelihood that you will overtrain leading to an injury. To find out what your endurance building pace should be, take the average time that it takes you to run a mile. Then convert that to a race pace by multiplying that pace by 1.25. A three-day running week is totally acceptable and will also eliminate the potential for what runners call “garbage miles,” or miles that lend nothing to your overall training efforts. Go all out those three days and then use the other four to add in other things to improve your endurance like strength and cross training. For the three-days that you do run, try to establish a pattern of one long run, one speed workout, and one tempo run, so that you can work on all the basic mechanics that you need to beat your best. The key to building endurance is to enhance your overall strength. Plyometrics is a way to focus on your core and explosive power to build super strong legs. Things like box jumping, high-knee sprints, and jumping rope are all incredible ways to help the body adapt to long distance running. The goal is to use up large amounts of energy from all muscles at once, and Plyometrics help to teach the body to run with better stride and cadence. Although for some slow and steady wins the endurance race, for other runners the exact opposite might be more helpful. There is some benefit to kicking it into high gear when you are close to the finish line. Finding that extra strength will help to increase your overall endurance. Try increasing your pace for the last 25% of your long distance runs. The goal is to teach your body to get accustomed to fighting the late-race fatigue that is common when trying to run a marathon. And if you can find that last-ditch energy, you can pretty much go on forever! Increasing your stamina takes retraining your body to use energy efficiency as well as oxygen. When running, try to breathe through both your mouth and nose to get more oxygen in. Then, exhale through your mouth. If you can learn to control your breath, you won’t experience the fatigue that can put a damper on your endurance efforts. At first, you will really have to concentrate on keeping your breathing slow and controlled. But after your body adapts, it will come naturally. A great way to build stamina is to run and then walk at equal intervals, like running for one minute and then walking for one minute. It allows the body to learn to recover quickly without feeling worn out. Every time that you have to ramp up the energy to run after walking, you are teaching your body to use available energy in a productive and controlled way. Almost like baseball players sometimes bat with two bats to increase strength, running on an incline can accomplish the same strength training for runners. When you run on an incline, your body has to work harder, so when you run on even ground, you can take off with ease. Running uphill also helps to build overall leg strength in your calves, hamstrings, and quads, which will improve your stamina. When you are training for endurance running, your body requires not just more calories, but the right types of nutrients to support the stress you are putting on your body. Also, it needs additional protein for the repair and recovery of your muscle fibers. Increase your intake of lean proteins, fresh fruits and vegetables, and dairy to keep yourself strong and ready to hit the ground! As tempting as it is to wake up earlier to get your run in, if you aren’t getting the required seven hours of rest a night, you are probably working against your best efforts. Your body and mind both need time to repair and recover from the night before. And if you don’t give it the necessary time it needs, you are going to end up overtraining and risking injury. Sleep is an essential part of your endurance running and one that is often overlooked! If you aren’t maintaining good posture when you are running, then you are risking injury. What you are also doing is limiting the way that your body takes in oxygen and allowing your running mechanics to work for you. The best way to increase your endurance is to stand up straight and continually watch both your posture and your body alignment. It might even behoove you to have a running coach analyze your running to tweak it so that you can build strength where you need it most and improve whatever bad postural habits might be keeping you back. If you are working overtime to increase your endurance to no avail, it might be that you are doing things that are working against your best efforts. Try these simple tweaks to gaining power and stamina to make it across the finish line. Most importantly, give yourself some breathing room and be patient. Building endurance takes time and mindfulness, but if you are willing to put in the hard work. achieving your goals will happen! Stay positive, stay strong and keep at it! For more great running tips check out other World Marathon running articles today!